WELCOME TO PRIME LIFE MINISTRIES: Death Through Adam, Life Through Christ. Many people wonder how we can be declared guilty for something Adam did thousands of years ago? (This is often called “Original Sin”.) They feel it isn’t fair for God to judge us because of Adam’s sin. We were all born into Adam’s physical family – the family line that leads to certain death. All of us have reaped the results of Adam’s sin. We have inherited his guilt, a sinful nature (the tendency to sin), and God’s punishment. As human beings, we tend to classify sin into different categories – minor and major. Many feel that if they haven’t committed any major sins, they should be all right with God. THERE IS NO SIN IN HEAVEN! But God lives in Heaven, a place where there is no sin – minor or major. To God, a small lie makes us just as guilty as if we had murdered many people. And, he cannot accept us into Heaven if we have sinned at any level – period. Because we are sinners, we are doomed to death in Hell. It isn’t fairness we need – it’s mercy. JESUS TOOK OUR PUNISHMENT ON HIMSELF. Jesus loved us so much that He voluntarily took our punishment on Himself. He was scourged almost beyond recognition, shed most of His blood, was crucified and died a horrible death on the cross so that our sins could be forgiven. He paid the ultimate price to save us! Jesus freely chose to take our punishment. The Father chose to send Jesus to the cross. They conspired to save all who would believe and to show by Jesus’ terrible wounds both the seriousness of our sin and the depth of His love. But, hallelujah, on the third day, He rose from the dead and ascended back into Heaven where He now sits at the right hand of the Father and serves as our personal advocate. Because of what Jesus did for us, we can trade judgment for forgiveness. Jesus offers us the opportunity to be born again into His spiritual family – the family line that begins with forgiveness and leads to eternal life. If we do nothing, we have death through Adam, but if we come to God by faith, we have life through Jesus Christ. All we have to do is accept Jesus as our Savior and make Him Lord of our life. This is “God’s Free Gift Of Salvation”. If we make this choice, we can reign over sin’s power, over death’s threats, and over Satan’s attacks. Eternal life will be ours now and forever! THERE MAY NOT BE A TOMORROW FOR US. We are not promised a tomorrow, so we encourage you not to procrastinate! Accept God’s Free Gift Of Salvation and choose life over death. The choice is yours. Do it now. We meet every Sunday Morning at 10:30am in the Blue Valley Room at the Holiday Inn at 110th & Nall in Overland Park, Kansas. 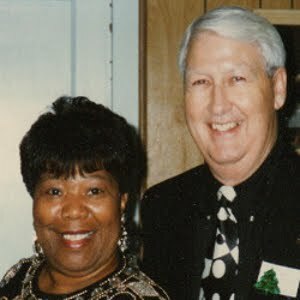 Our pastors are Jerry & Wilma Johnson and if you have any questions, you may call them at (479) 462-3354. Bible Food For Thought (Part 1). Are You Ready For Your Final Appointment?